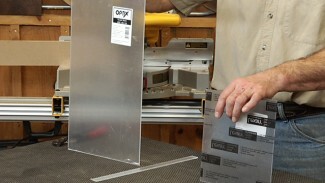 Owning a motorized jointer in your woodworking shop is a real game changer. It allows you to take an imperfect board, and create a perfectly flat faces and edges, whereas this would take much more skill and patience if you were stuck with only hand tools to perform these operations. 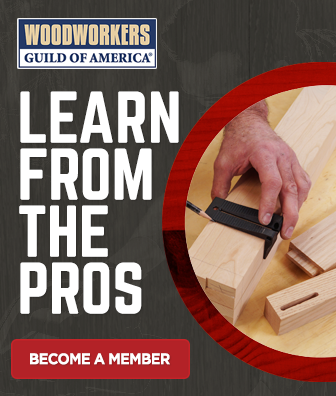 While a motorized jointer is much quicker and easier than hand tools, there are a few skills that are required in order to master the jointer. One of the first things that you will need to learn is how to “read your board” and understand how the grain direction will affect your cut quality, and also how to determine your feed direction based on grain direction. Grain doesn’t run perfectly straight, and so as it fades toward the edge it has a distinct direction to it as it exits the board. One way to think of this is like the direction of a cat or dog’s fur. You can see which way it goes, front to back, and you intuitively know to pet the animal “with the fur”. If you go against the direction of the fur, your pet will “complain”. 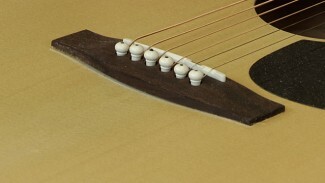 Similarly, if you joint a board against the grain, you can cause problematic chipping in the surface. Learn to read the direction of the grain. George will show you how to determine this on a board. Adjust your feed direction accordingly. Always feed your stock so that the grain direction is pointing rearward as you feed. Listen closely. When you are jointing, you will hear and feel chipping as it occurs, suggesting a reversal in direction. 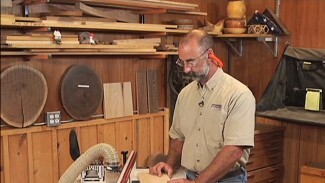 This is an important skill to master, and once you have that under your belt, check out some more jointer videos.